The distinction between an EV vs. a gas-powered vehicle is at the heart of the challenge in the marketing of the Soul EV. With gas-powered vehicles, the vast majority of consumers understand the technologies and lifestyles associated with ownership. However, this is not the case with EV’s. Our analogy was that we were selling cars to horse and buggy owners. 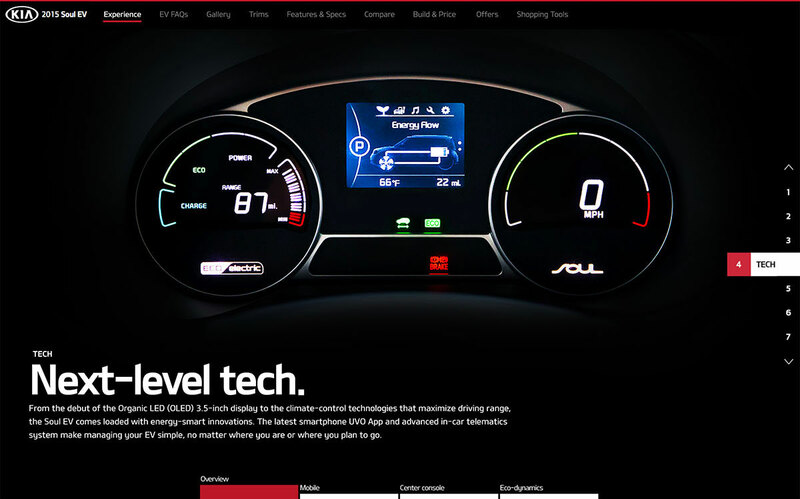 First, we created the vehicle experience, which is a more branded and visually dynamic section intended to bring to life the quirky, no compromise attitude of the vehicle, embodied by its tagline “Fully Charged”. 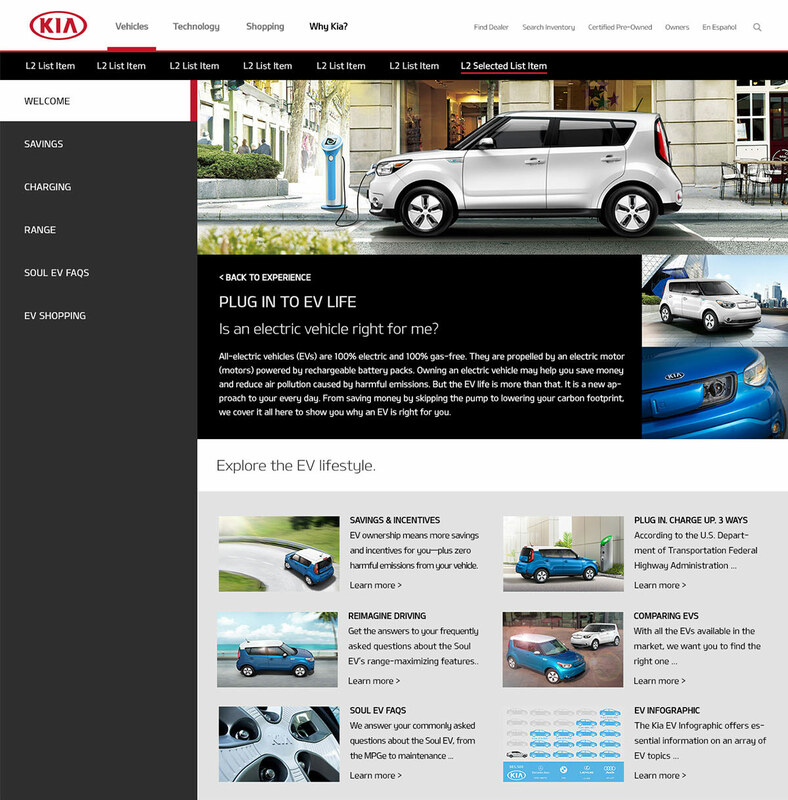 Then we created an “EV FAQs” section which provides the user with more in-depth and impartial information about EV ownership. 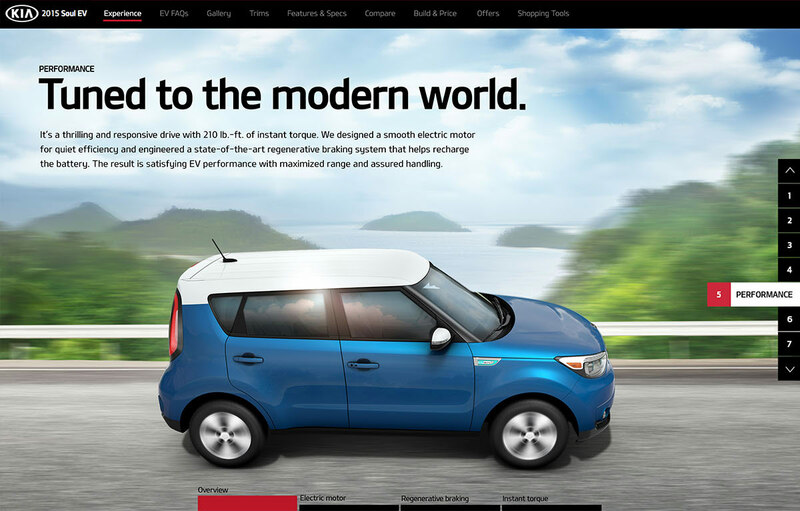 Despite limited production and anticipated sales, this all resulted in a positive brand halo effect for Kia and for the Soul, guided by the company’s commitment to environmentalism, technology, and innovation. 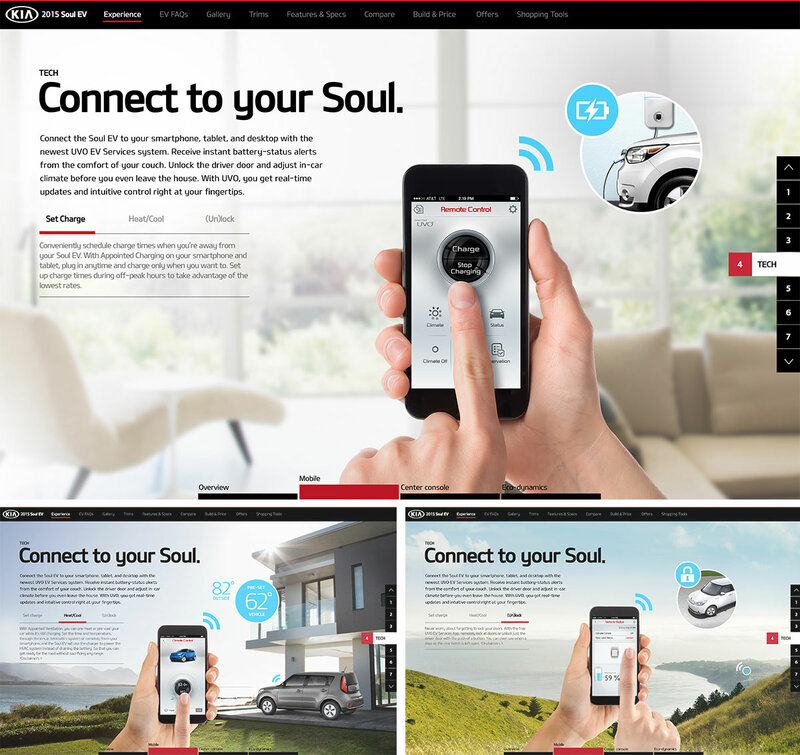 The AEM platform for telling the Soul EV story focused on features and technology in a visually interactive format. The perception that electric cars were limited by their range was addressed by depicting them in several illustrations on the road and in nature. Switching from a conventional to an electric vehicle might not be not so easy, and many prospective owners would like to do more extensive research into the EV ownership lifestyle before making the purchase. We added this section which provides users with just this sort of in-depth information.